Digital Humanitarianism: time to scale it up? 2015 and 2016 will probably be remembered as years fraught with astonishing technological innovations addressing the various needs of the refugee population arriving in the European Union. The flow of new avant-garde tools created by civil society organizations or individuals who are willing to provide some kind of help to asylum seekers and migrants, trying to make their lives easier by shaping apps and other instruments that can somehow facilitate their arrival and settle them into their new host societies. 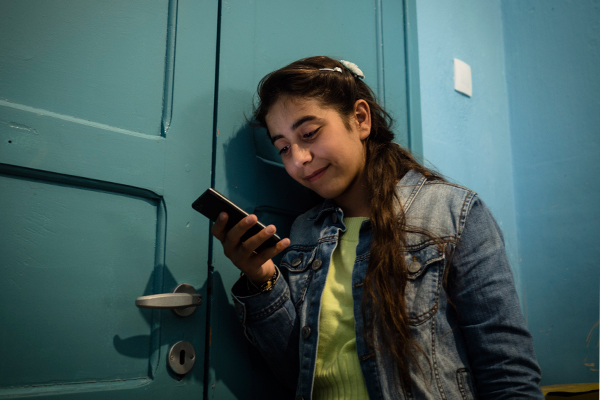 Meghan Benton and Alex Glennie from the Transatlantic Council on Migration – a project run by the Migration Policy Group – analysed this fascinating topic in a report called “Digital Humanitarianism: How Tech Entrepreneurs are Supporting Refugee Integration”. The range of new tools is broad and diverse and it could indeed provide necessary support to people whose lives have been turned upside-down; however, as of today, the impact of this sheer technological humanitarianism is significantly undermined by the failure of local and national authorities to recognize the potential utility of such tools in the reception and integration of asylum seekers and migrants. If the authors value these three categories just mentioned as the most successful among the broad range of tech productions, there are also many new tools that cover the first phases of the journey that migrants undertake to reach Europe. For example, the app InfoAid offers several updates on conditions at the borders in Southeast Europe (therefore falling into the category of “Pre-departure” tools, while Trace the Face – which belongs to the “Transit and emergency response” group – allows refugees to share images of both their own and their relatives’ faces in order to track them down and to be reunited with missing family members. Great initiatives, for sure, but they risk being stuck at a pilot level that will have little, if any, impact on refugees’ lives. This is the opinion of Benton and Glennie, who claim that only by providing “follow-up funding and incubation support” can the “most promising innovations reach the next level”. Authorities and policymakers should thus acknowledge the revolutionary potential of tech tools in managing refugee reception and integration and set out fruitful collaborations and funding schemes to scale up great ideas which risk being wasted without support from “above”. For a list of apps divided into categories, look at the table “Examples of tech innovations across the asylum process”, on page 4 of the report.